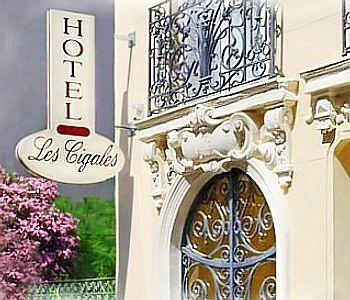 In the charming atmosphere of a fully renovated hotel, in the heart of Nice, 150m from the sea and the casino Ruhl, l'Hotel Les Cigales offers you its hospitality. 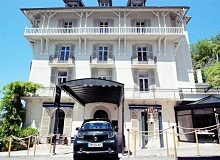 Ideally located at the foot of the Chateau Fort de Lourdes, in a green setting, close to the sanctuaries, the team welcomes you in a contemporary atmosphere 24 hours a day. Located in the historic centre of the quiet Southern town of Orange, this small, pretty, and friendly hotel, run by the same family for three generations, and restored and refurbished every year welcomes guests to discover the town of Orange. 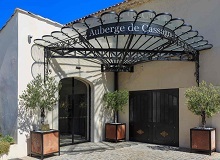 Hotel of charm and prestige in Pontet Avignon, the Auberge de Cassagne & Spa is located in the heart of Provence, at the gateway to Avignon. You can follow the wine route and discover Gordes and Saint-Remy-de-Provence.